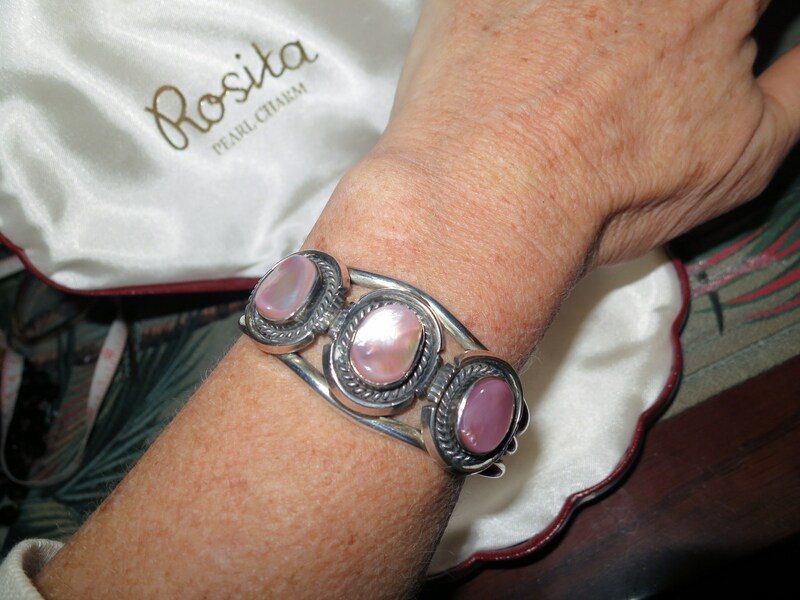 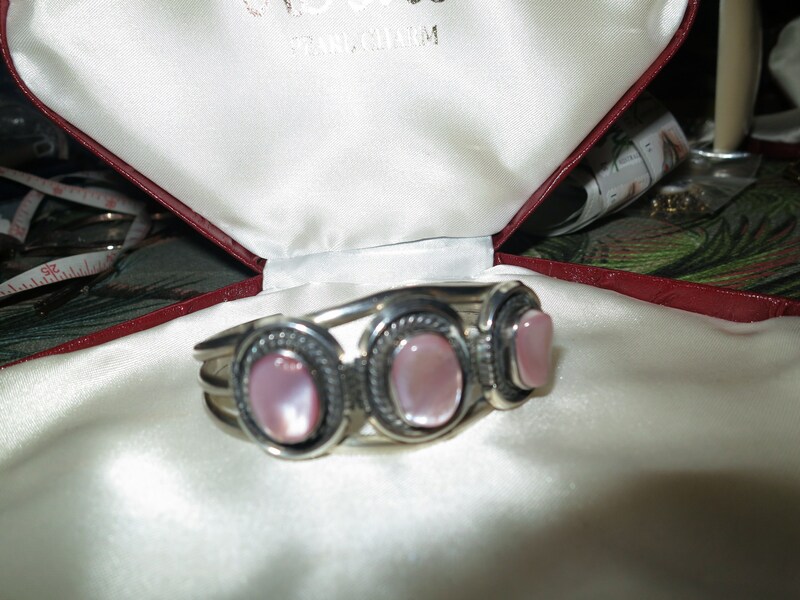 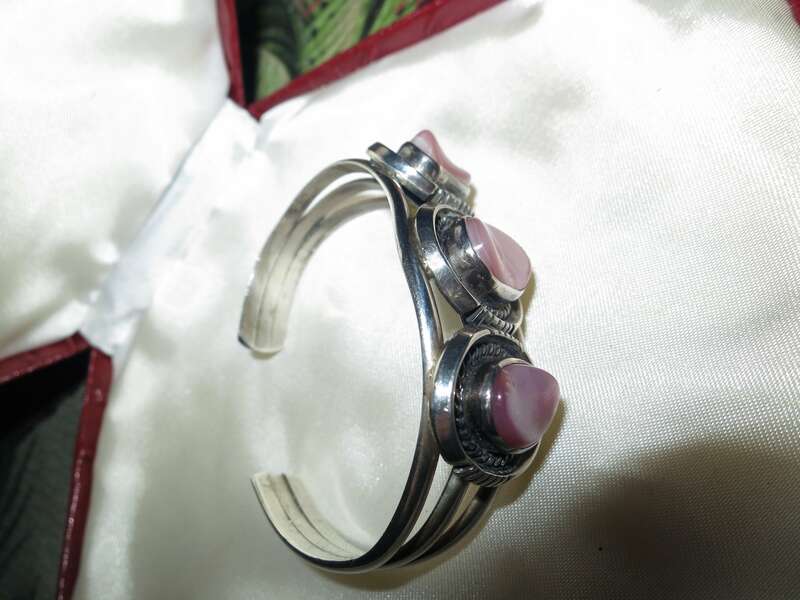 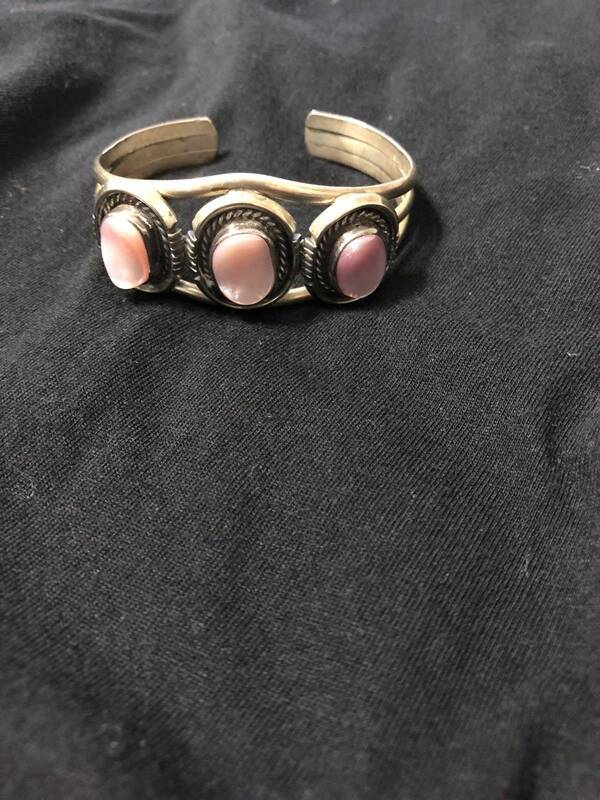 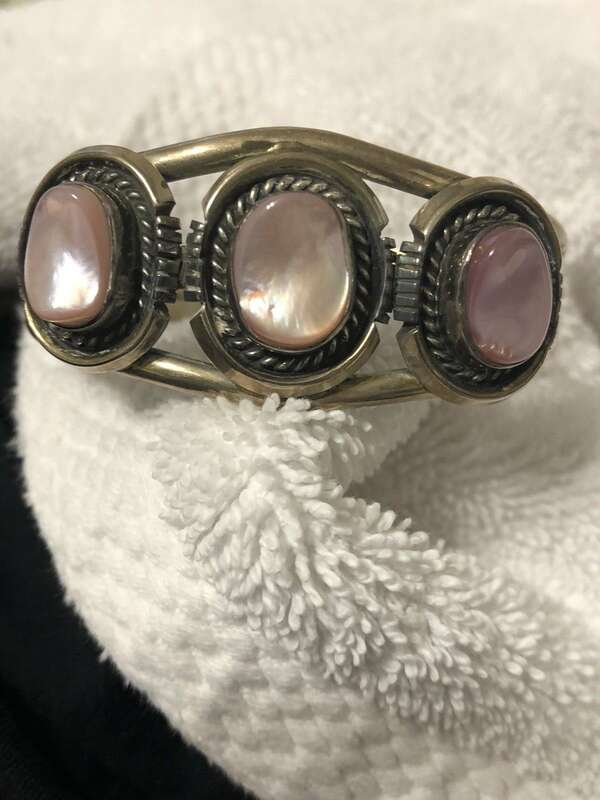 For sale is this stunning Native American hallmarked sterling silver signed MP (Michael Perry) genuine pink mother of pearl cuff bangle. 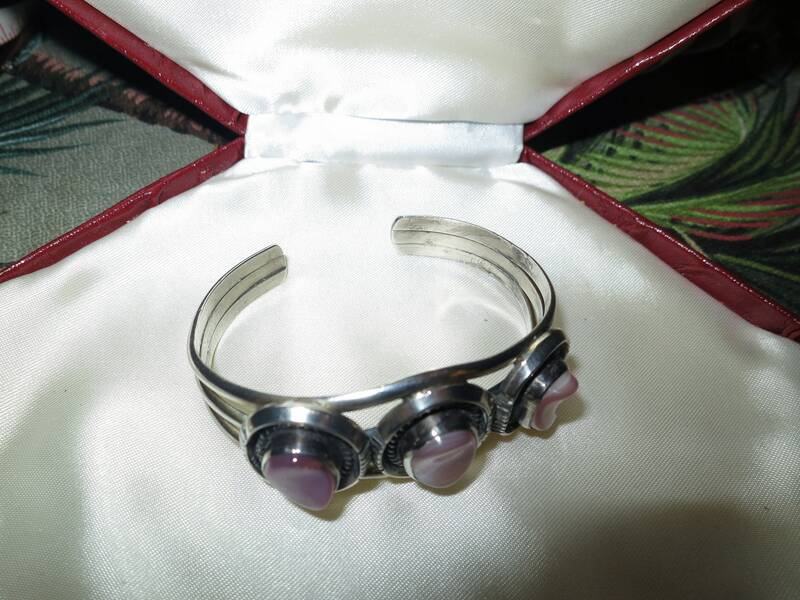 Michael Perry is regarded as one of the finest Silversmiths .His work is world famous and treasured by collectors. 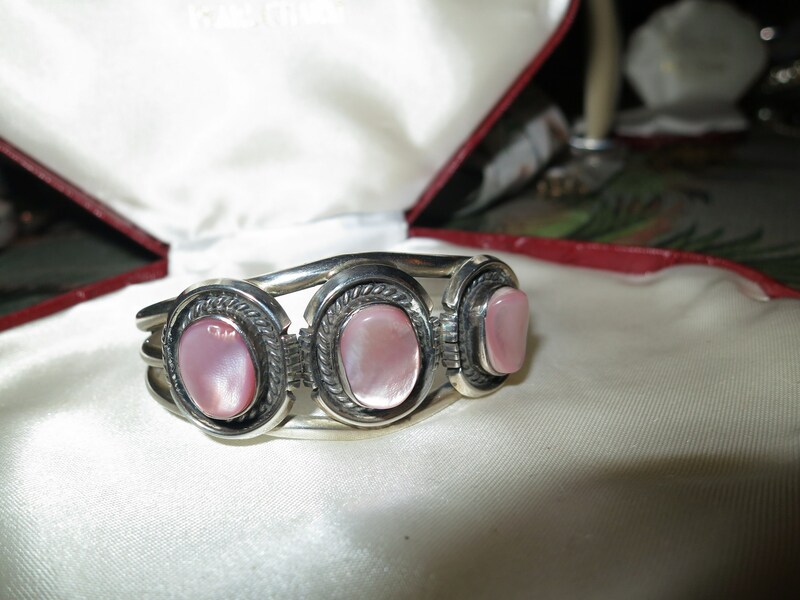 Sterling silver with genuine mother of pearl inlaid stones. 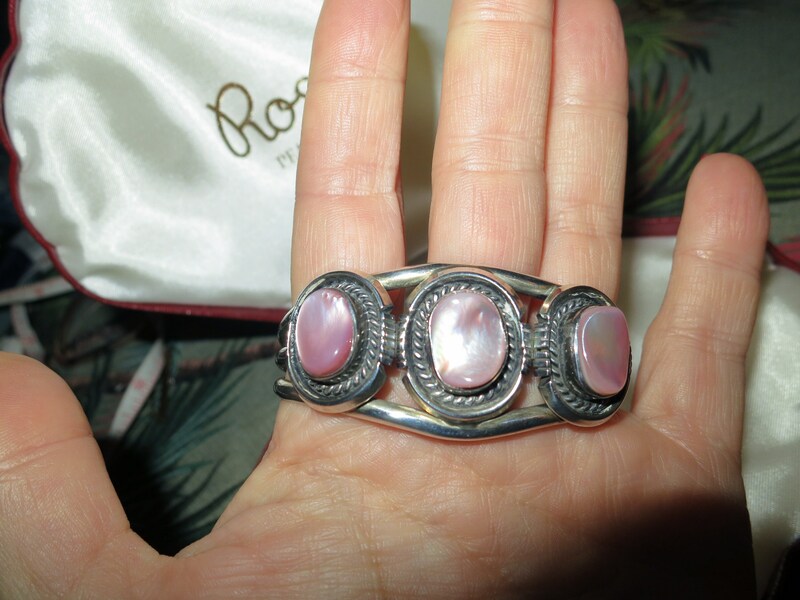 Beautiful high reflective lustre pink mother of pearl. 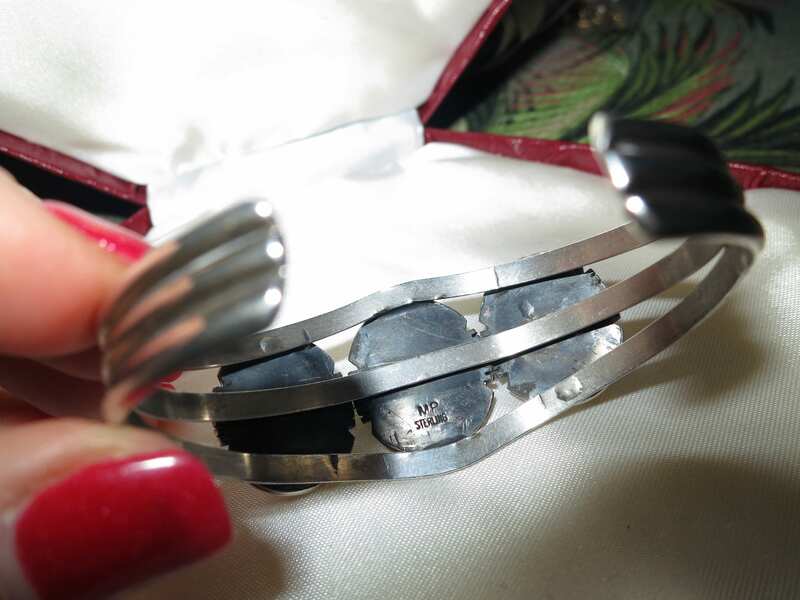 To fit small to average wrist.